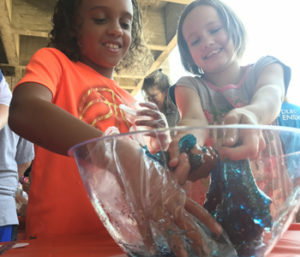 By Jason Evans – SENECA – As school wraps up for the summer, parents are left with the task of finding activities that keep kids entertained and, if they’re lucky, educated. Wednesdays at the World of Energy seeks to combine both elements with its free programming geared toowrd kis ages 6-12. All the activities require parental supervision and there’s no need to leave siblings at home, but the selected age group will likely be the most interest….